2014 & 2015 Health Plan Survey Executive Summaries: Since 2005, UBA has surveyed and advised thousands of employers across the nation regarding their health plan offerings, their ongoing plan decisions in the face of significant legislative and marketplace changes, and the impact of these changes on their employees and businesses. Based on responses from 10,804 employers sponsoring 18,186 health plans, the UBA Health Plan Survey is the nation's largest health plan benchmarking survey and it provides more accurate plan cost and design data than any other source. Don't Roll the Dice on Department of Labor Audits: It’s not a matter of “if,” but “when” you will get audited by the U.S. Department of Labor. What can trigger a DOL audit? Usually it’s one of two things — either a complaint, which leads to an investigation, or it’s totally random. Audits can have big repercussions, so make sure your company knows how to respond to a notice, prepare for an audit, prep your team, respond to DOL questions, conduct a self-audit, and be prepared. You’ll also want the two practical companion resources with sample audit questions and an audit checklist. Custom health plan benchmarking report: Employers are increasingly challenged to find accurate information that will help them evaluate their health plan design, manage rising costs and prepare for the future of health care. Making the right strategic business decisions starts with having all the facts. Get a competitive edge in recruiting and retention of a superior workforce and planning for health care reform by evaluating and comparing your health plan to other companies by region, state, industry, size, cost, and more. Final Forms and Instructions for Employer and Individual Shared Responsibility Reporting Forms: Employers with 50 or more full-time or full-time equivalent employees and insurers are now required to report on the health coverage they offer. This ACA Advisor has comprehensive information on what forms to use for emloyees, filing dates, responsible parties and forms to be sent to the IRS, including sample situations. Cafeteria Plans: Change in Status and Changing Employee Elections: This guide from UBA can help employers understand the various change in status events that allow employees to make changes to cafeteria plan elections, including the new reduction in hours and Exchange/Marketplace enrollment events allowed by the ACA. 2016 Annual Limits Card: Many employee benefit limits are automatically adjusted each year for inflation (this is often referred to as an "indexed" limit). UBA offers a quick reference chart showing the 2016 cost of living adjustments for health and Section 125 plans, qualified plans, and Social Security/Medicare withholding. 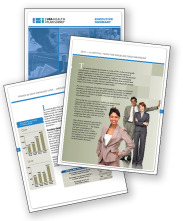 This at-a-glance resource is a valuable desk tool for employers and HR practitioners. HRAs, HSAs, and Health FSAs – What's the Difference? Health reimbursement arrangements (HRAs), health savings accounts (HSAs) and health care flexible spending accounts (HFSAs) are generally referred to as account-based plans. To help determine the best option for your particular situation, this comprehensive chart compares eligibility criteria, contribution rules, reimbursement rules, reporting requirements, privacy requirements, applicable fees, non-discrimination rules and other characteristics of these types of accounts. To stay apprised of all the publications UBA offers, subscribe to our blog, visit our compliance resource center or explore our white paper library.